All the Real estate information and photographs shown on http://www.nasikproperties.com, are property of respective owners. The content and photographs is to be treated as an information content only and actuals be verified by the visitors with the respective owners of the content. 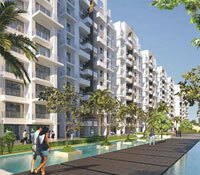 Nasikproperties.com does not undertake any misrepresentations made by or implied to visitors due to the said content. Solapurproperties.com is therefore not responsible for any sort of claims, legal bindings made by anyone with respect to the same. Property listings on nasikproperties.com are displayed as provided by the user. Nasikproperties.com does not guarantee that listings as provided are genuine. Buyers or visitors should verify all the records before entering into any sort of transactions with the property listers thoroughly to ensure truthfulness of the transactions being carried between the property lister. Solapurproperties.com cannot be held responsible for any fraud etc. carried out. Feedback from our viewers on any points of accuracy is always welcomed. Nasikproperties.com reserves the right to modify and/or change anything on this web site at any time, without giving any prior notice or reason whatsoever. Nasikproperties.com reserves the right to modify/revise the prices, specifications without pre intimation, accept/reject or discontinue advertisement banners/listings without assigning any reason whatsoever. Legal Information/documentation on the site is just a reference point. Any agreement that you enter into should be in consultation with a Solicitor or an Advocate. Nasikproperties.com is not responsible/liable for any claims arising out of the use of any information listed on the site. Nasikproperties.com assures its visitors that any personal information it collects from its users is not distributed with any third party without the consent of user.